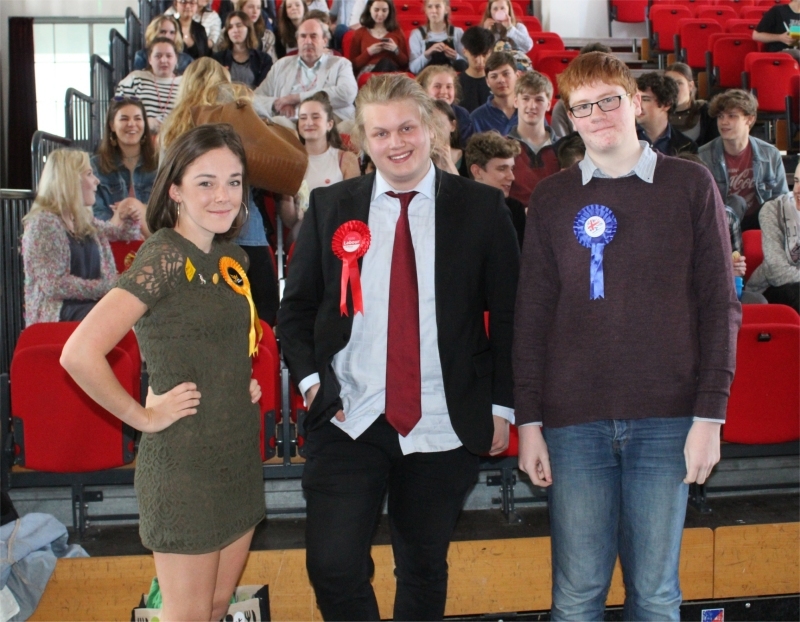 On 10th May, the school held a mock election for students to vote in. All three main parties were represented by a candidate who campaigned as our politicians are doing now. On the day itself over 1000 students voted. The Election was an exercise in political awareness and encouraging young people to be active in Politics, no matter what their views. And we therefore declared Jonathon Hammick the winner. 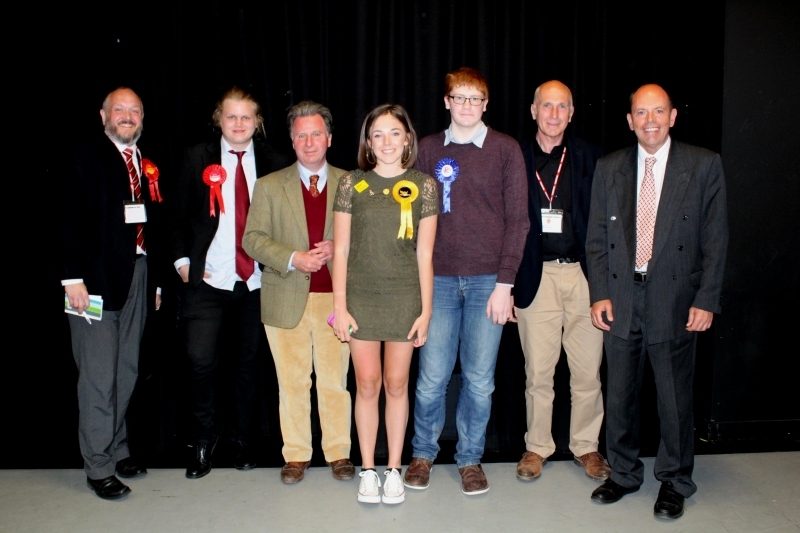 On Election day itself we were delighted to welcome all four of the candidates for the West Dorset Election for a hustings special. Lee Rhodes (Labour), Andy Canning (Liberal), Sir Oliver Letwin (Conservative) and Kelvin Clayton (Green) answered questions from students and each other. A lively debate provided an excellent centrepiece to our election day. 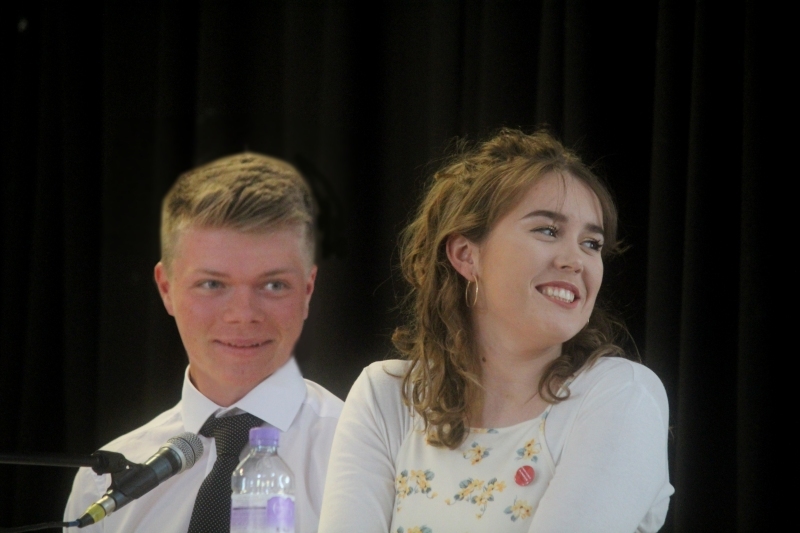 The debate was managed and compered excellently by George Carroll and Jess Prior, who kept the candidates in check and on time! All three parties produced a Party Political Broadcast to put their views to the school.